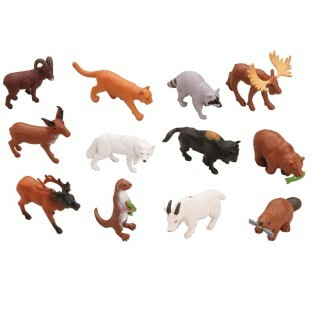 Fun imaginative play with woodland creatures! Each measures between 1-1/2" to 3"
Set of 12 forest animal figures, approx. 1-1/2" to 3". Ages 3+.